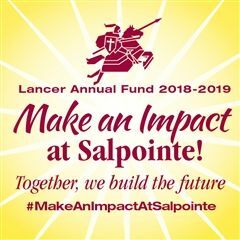 Salpointe Catholic High School accepts a limited number of International Students each school year. International students applications are reviewed by the school's Admissions Committee and are accepted based on their academic and English qualifications. International students may apply only for the beginning of a school year (Fall semester only, no Spring semester applications). International students must demonstrate strong English skills (TOEFL English proficiency exam required plus a Skype or Google Hangout interview is required) as all of the classes at SCHS are taught in English at an accelerated rate. The goal is to see all international students be successful at our academically rigorous school, hence the advanced English requirement. All Items Must Be Translated Into English! TOEFL English Proficiency Test - no other English proficiency tests accepted. A minimum score of 68 is required to be considered for admission. Salpointe’s code to receive these scores is 2782. Student & Parent Interview (Google Hangout or Skype) - This will be individually scheduled after we have received the student’s recommendation forms and high school transcripts. This will be done after the student and parent interview is completed.